This past spring I had the opportunity to attend a clinic that had Jimmy Radcliffe from Oregon give the keynote address. I have followed Coach Radcliffe for years and greatly admire his philosophies. 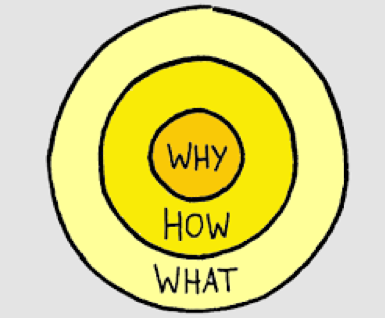 His presentation focused on the Golden Circle concept from Simon Sinek’s book Start with Why. His concept offers a great strategy to get students to buy into weight lifting. Start with Why is a business book, however I have found it to be much more than that. It really is a book about relationships and understanding how people make decisions. As a coach I have found it to be very valuable to understand how to get athletes and coaches to “buy in.” Businesses need customers to buy products, coaches need athletes to buy in, it’s a great parallel. Starting with Why in a coaching sense means you plan your programs based on your ultimate purpose of training. “hows” are actions, such as the exercises and the “whats” are the results of these actions (exercises). In Radcliffs’ presentation, he explains that his “Why” is burst, everything he does is to improve acceleration in all facets of his workouts. Every athlete wants to be faster. A great example of this in the book is when he trained the USA Women’s hockey team to a gold medal this past winter. Radcliffe doesn’t even know how to skate! I want to illustrate how we have started to imply this concept with our athletes to help them be better come game time. This summer we have conducted our workouts by telling the athletes “Why” we are doing certain exercises. While teaching various forms of the squat we went beyond telling the athletes to get to parallel, we gave them cues to get to that depth but we didn’t stop there. We tell the athletes that by getting to parallel they are activating their glutes, and all their power comes from their glutes. I brought the girls basketball team together and asked them “Do you want to jump higher?” they all nodded. I told them if you want to jump higher, you need to activate your glutes! 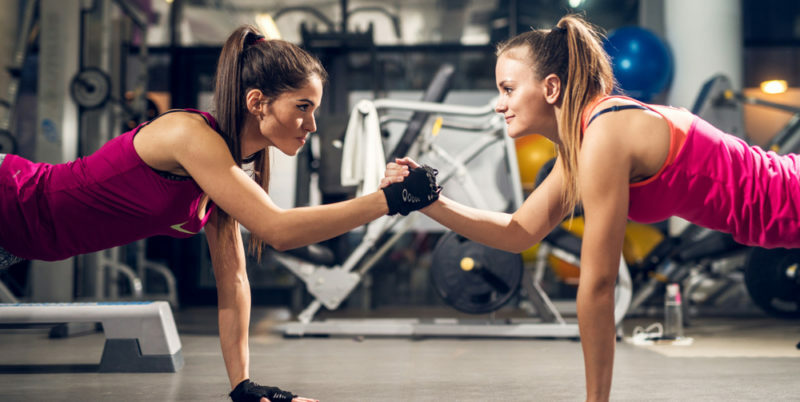 I don’t care how much weight you are lifting, I want you to activate the glutes. You need to get proper depth to do that. The same goes for the clean – we want to get to triple extension of the ankle, knee, and hip. Whether it be a linebacker making a tackle or a basketball player grabbing a rebound we need to explode and maximize our power through our hips. By starting with “why”, we are doing the exercises and create a mental image of an athlete performing that movement on game day. It can really help the coach get that buy in. 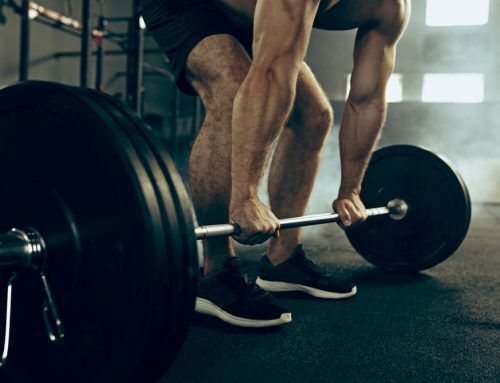 I am always going to adhere to the fact that building a strong foundation of strength is going to decrease the risk of injuries and improve performance. With this said there are some specific movements that I feel are very impactful. Similar to Coach Radcliffe, I believe burst and acceleration are crucial for performance. Most of our athletes compete while running and changing direction – therefor we need to train a lot of single leg movements. Along with single leg exercises we must also train the core. Combining these two elements allows us to focus on Deceleration Training. 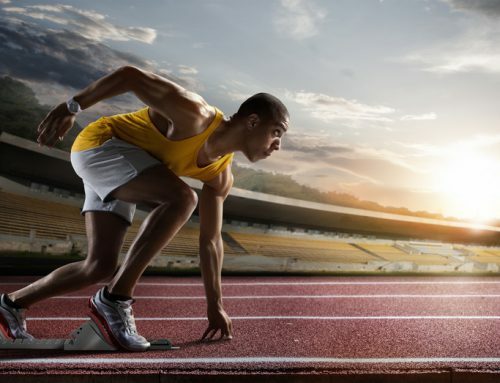 In order to cut, the athlete first must be able to stop. If the core is weak, it is fluid and will continue to move, causing the body weight to continue with momentum. If the core is strong the body becomes more rigid and solid, thus stopping the momentum and allowing the athlete to stop and change direction. This is a major training factor for all of our athletes but we really focus on our female athletes with this as it can be a major ACL prevention program as well. Explaining this why to them will increase buy in and participation. Medicine Balls provide a great way to train a lot of athletes at once, but most be done properly to gain the full effects of training. We throw med balls a lot, and when we do we focus on triple extention just like the clean. I feel our biggest training effect comes from how we teach the athletes how to catch them. We tell our athletes to pretend that there is a brick wall behind their hands the second the ball touches there hand. Catch the ball and stop, freeze the entire body, do not let the ball and their body to continue to move – be rigid, solid. A great drill for this is to have 2 athletes’ pair up and run across a gym playing catch. Athlete A is jogging straight while Athlete B is shuffling and passing to A. On the pass Athlete A lands on one foot and catches the Med Ball. The goal is to stick the landing on one foot and be rigid on the catch. Many of our athletes will have a hard time with this and hop several times trying to overcome momentum, they may also have a hard time catching and not allowing the med ball to keep the body from moving. Another great exercise for this type of training we utilize is clock lunges. Imagine a clock face on the ground – the athlete lunges at 12 – 6 with the right leg and the back 6-12 with the left leg. After mastering this exercise we add light med balls or dumbbells to the exercise and have the athletes swing the weight towards our imaginary brick wall at the bottom of the lunge. This allows the body to once again overcome momentum and effectively stop. There are several other examples and exercises like this that we utilize, I hope these two give you a snapshot of our system. The great thing about this type of training is that we can do it with all ages, and in fact I think young athletes should start with this type of training. By starting at the core, we can tell our athletes, and more importantly show our athletes why we are training. Imagine a 260 pound offensive lineman that can lift a house stumbling and losing balance trying to catch an 8 pound dumbbell. Johnson is a graduate of Normandale Community College, Augsburg College and the University of Minnesota, playing football at both NCC and Augsburg. “RJ” teaches physical education at Wayzata High School and is the Strength and Conditioning Coordinator for Wayzata Public Schools, a position he began in 2000. Wayzata Athletics have captured 52 team state titles in histenure; Johnson works directly with the three-time state champion football program as Director of Operations and Player Development. He is a member of the National Strength and Conditioning Association (NSCA) and is a Certified Strength and Conditioning Specialist as well as a Registered Strength and Conditioning Specialist – both certifications with Distinction and is the Minnesota NSCA State Director. NSCA awards include Minnesota High School Strength and Conditioning Professional of the Year 2010; State Director of the Year 2013; Strength of America Award 2015; and 2017 National High School Strength and Conditioning Coach of the Year. In 2017 he became a founding Board Member of the National High School Strength Coaches Association (NHSSCA); and serves as a Regional Director for the organization. A former volunteer firefighter, he also received an Award of Merit from the Minnesota Department of Health and Safety for participation in a lifesaving CPR/AED effort to revive a player that suffered sudden cardiac arrest while at practice. Johnson is a frequent clinician, speaker, author and his Wayzata Trojan Power program has been visited by over 50 other high school and small college programs. He also volunteered his time in the Rockford School District where he and his wife and four children reside by serving as the Rockford Area Youth Athletic Association President and Youth Football Director.